The group Seeking Tolerance and Justice Over Hate (STAJOH) is seeking nominations for the 5th annual Alix Olson Award. STAJOH is an anti-hate crime group made up of representatives from various local and state government agencies and the University of Wisconsin-Madison, as well as citizens and community-based agencies throughout Dane County. It was founded in part by Alix Olson, a retired Madison Police detective who spent much of her career combating hate crimes. 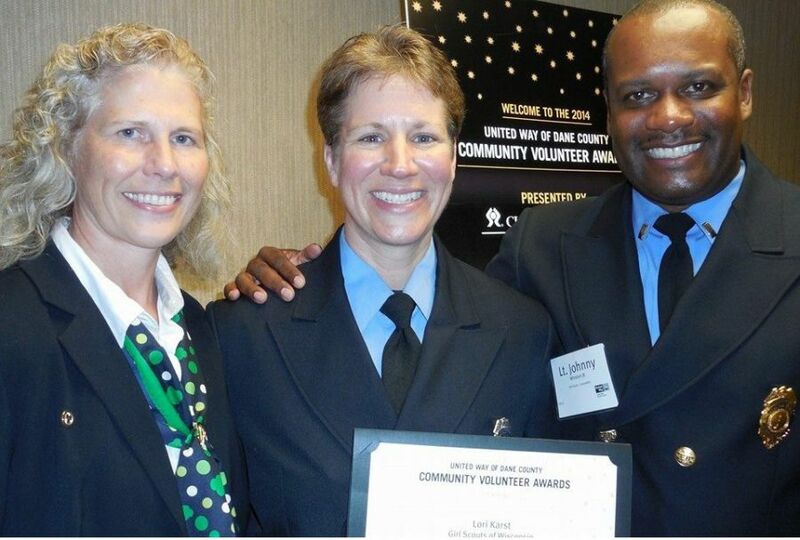 Last year’s award went to Madison firefighter Lori Karst. As a proud recipient of the Alix Olson Award, Firefighter Karst is personally encouraging you to nominate someone who could be the next recipient. The nomination deadline is Tuesday, September 15. Click here for more information and to submit a nomination. The next Alix Olson Award for the Promotion of a Tolerant and Just Community will be issued on October 2 during the YWCA Racial Justice Summit.